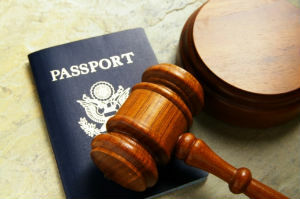 Turner Law Offices, P.C., provides employers and those wishing to enter the U.S. with expert guidance in a field that can be daunting. How daunting? By way of example, people applying for a tourist visa can receive a “simplified” packet from the government that requires at least 20 steps. Considering your unique circumstances, we will explain the situation you are in and detail your options. We will work with you to find the fastest, easiest and least-expensive way to get you to your goal. We will guide you every step of the way until the goal is reached. Family immigration – reuniting broken families by helping loved ones move to this country or obtaining fiancé or spouse Green Cards. Employers – There are many options for obtaining employee visas and at Turner Law Offices, P.C., we can erase a lot of the confusion in the process. Naturalization – If you would like to obtain citizenship in the United States, we can help you meet the requirements to make that happen. Business visitors (B1, B2), Students (F1), Specialty occupations (H1B, 3E), Seasonal workers (H2), Trainees (H3), Exchanges students (H3), International entertainers (P1B), Religions workers (R1) and NAFTA (TN). Because lawmakers in Congress and enforcement personnel in the field are constantly changing the immigration landscape, individuals cannot be expected to stay abreast of all the changes. Turner Law Offices, P.C., remains updated on all the revisions so you can be assured of swift and accurate representation in your case. We pride ourselves on strict attention to detail throughout your process.